US President Donald Trump’s recognition of Jerusalem as Israel’s capital triggered global flak, including from some of America’s closest allies, amid fears it could strengthen extremists and destroy the region’s faltering peace process. Israeli Prime Minister Benjamin Netanyahu said Trump’s decision on Wednesday had made for a “historic day” and was “an important step towards peace”. But furious Palestinians condemned it and warned that had diminished Washington’s role as a peace mediator. Palestine President Mahmoud Abbas called the decision “deplorable” and said it will not change Jerusalem’s status as the “eternal capital of the State of Palestine”. Palestinians took to the streets in Gaza and the West Bank. The hardline Hamas called for a “day of rage” on Friday and said the decision would “open the doors of hell” on US interests in the region. In a landmark speech in Washington, Trump reversed decades of US policy in defiance of warnings that recognizing Jerusalem as the capital will derail the Israeli-Palestinian peace process and create further unrest in the Middle East. Trump, fulfilling his campaign promise, said he had “judged this course of action to be in the best interests of the US and the pursuit of peace between Israel and the Palestinians”. He said he would tell the State Department to begin preparations to move the US embassy from Tel Aviv to Jerusalem. Trump said the US still supported a two-state solution to the long-standing Israeli-Palestinian conflict, if approved by both sides. 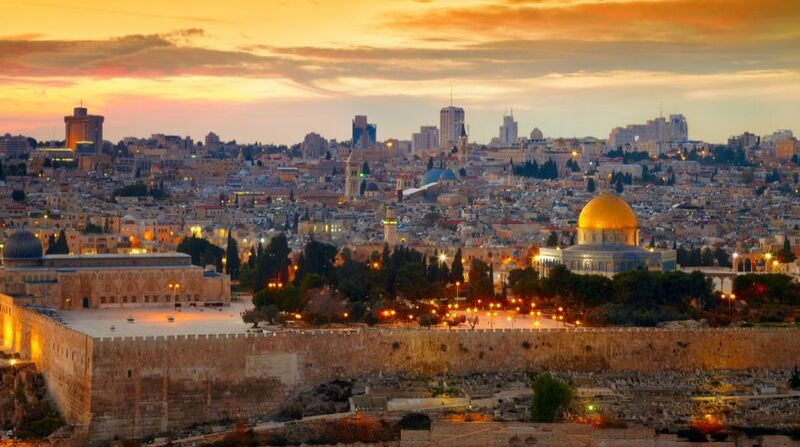 Several past US Presidents insisted that the status of Jerusalem — home to sites holy to the Jewish, Muslim and Christian religions — must be decided in negotiations between the two sides. The UN Security Council will discuss the issue on Friday after eight of the 15 nations called for an emergency session. The Arab League will meet on Saturday. The Arab and the wider Muslim world, including a number of US allies, condemned Trump’s announcement. The Saudi Royal Court warned of serious consequences of such an “irresponsible and unwarranted step”. The United Arab Emirates expressed “deep concern” about the repercussions of the decision, WAM news agency reported. Lebanon’s pro-Hezbollah al-Akhbar newspaper declared “Death to America” on its front page on Thursday. President Hassan Rouhani said Iran “will not tolerate a violation of Islamic sanctities. Muslims must stand united against this major plot”. Turkish President Recep Tayyip Erdogan said the US decision was not only a violation of international law but also a severe blow to the conscience of humanity. Demonstrations erupted outside the US consulate in Istanbul. Kuwait and Qatar, besides China and Pakistan, also came out against the US move. India declined to comment, saying its position on Palestine “is independent and consistent”. Pope Francis called for the city’s “status quo” to be respected, saying new tensions in the Middle East would further inflame world conflicts. British leader Theresa May disagreed with the US decision, which was “unhelpful in terms of prospects for peace in the region”. German Chancellor Angela Merkel and French President Emmanuel Macron both said their countries did not support the move. Canada said its embassy won’t move to Jerusalem. EU chief diplomat Federica Mogherini voiced “serious concern”. Malaysian Prime Minister Najib Razak called on Muslims worldwide to “make it clear that we strongly oppose” the US move. Indonesia’s President Joko Widodo too slammed the US decision.